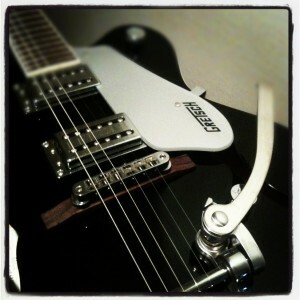 Hi, I’m Alex and run a guitar school in Tokyo. I often get asked many questions about playing the guitar and one of the most common ones is, “how can I find a really good guitar teacher that is right for me?”. Of course, there are various practical considerations such as price and location. However these aren’t the only factors you should be thinking about when searching for a guitar teacher. So, what are the main things to keep in mind when searching for a teacher or guitar school? To help you in your quest, I have put together 10 questions you should ask a potential guitar teacher before you decide to take lessons with them. 1) What style of guitar do you teach? This is a good question to find out if your guitar teacher can help you to learn the specific style you want to play whether it be rock, jazz, classical, bossa nova or whatever. You should also find out what type of guitar they specialize in, for example, classical, steel string acoustic or electric. If you aren’t sure, your potential guitar teacher should explain to you the difference in styles and type of guitar to help you decide what you want to do. 2) How long have you been teaching the guitar? This should give you some idea of how experienced your guitar teacher is. It’s not necessarily true that the longer they have taught the better. However, anything under a year might raise a few red flags for you. Generally speaking, the longer they have taught, the more experience they will have in dealing with the various levels and needs of each student. 3) Where do you teach? Does your teacher teach from their home? Do they teach at a studio? Perhaps they can travel to your home. It’s good to ask this up front to check the logistics of doing a lesson with your teacher. If you are starting out, you will want to do lessons more regularly so finding a teacher who lives near to you will be beneficial. 4) How many guitar students do you have? Asking how many students a teacher might give you a rough idea of how popular or successful they are. Of course there is no magic number, but anything around 10 and up is not bad at all. Of course, circumstance differ and there are exceptions. For example, high level classical guitar professors who only take on one master student at a time. However, having more students can sometimes indicate that at least other people think your guitar teacher is worth taking lessons from. 5) Can you read music? The ability to read standard music notation, as opposed to “tabs” is not absolutely necessary for learning the guitar. However, you will definitely be in good hands if they can read music and have a solid grounding in music harmony and theory. It will also be an indicator of what level of music education they have achieved. And that leads onto the next question. 6) What’s your musical education? This will give you an idea of how well educated your teacher is in not only playing guitar but also music theory and harmony. Generally speaking, teachers with a degree in music or guitar performance will be able to teach you up to a professional level if you want to go that far. If you just want to learn basic acoustic guitar chords to play your favorite songs you don’t really need someone with a PhD in music but the more experienced the better. 7) What is your teaching method? You might want to ask your teacher what a typical guitar lesson is like. How long is it and what exactly do you usually cover? You might also want to ask if there is a recommended guitar book and a syllabus your guitar teacher uses. It’ll give you an idea of whether your teacher will just teach you pieces of music, or also know how to train you to be the best guitar player you can be within a tried and tested methodology. A good teaching methodology will allow the student to track their progress as they improve constantly. A good syllabus will include clear and attainable goals with deadlines that you can hold your teacher and yourself accountable to. 8) What is your payment policy? Of course you need to know how much your teacher will charge but also what payment system they use. Do they charge monthly or per lesson? Are there discounts for reserving blocks of lessons in advance? Can you get a discount or free lesson for introducing another student? You also want to know what their cancellation policy is. Generally speaking, it’s usual to have a 24 hour cancellation policy but please check to avoid any misunderstandings. 9) Do you offer group lessons? It’s most common for guitar teachers to offer private one to one lessons. However, have you ever considered doing group lessons? Ask your teacher if he or she can teach groups of students. You should seriously think about doing group lessons for the following reasons. Firstly, they’ll be cheaper per hour than one to one lessons. Secondly, ff you go with a friend or friends, you’ll find more motivation to turn up every as you won’t want to let them down. Finally, it’s a great way to learn to play in groups. It’s also effective in forcing you to play in time which greatly improves your sense of rhythm and general musicality. A good teacher will have experience with group lessons. 10) Do you or your students gig? This is a question to see if the teacher or their students actually use their skills out on the stage. Of course this isn’t an absolute pre-requisite to choosing your guitar teacher but it will give you an idea of what level of guitarist they are. For example, for anyone serious about studying classical guitar in music school, it’s quite common for your professor or their students to regularly appear in recitals. This means you can learn not only about playing the guitar, but also about the showmanship and art of performing. So, hopefully these will give you some ideas of what you should be asking a potential guitar teacher or guitar school before you take lessons with them. After, you’ve found your teacher, check out this article on the 10 secrets pro guitarists use to practice effective and improve quickly. If you have further questions send me an email on the contact form or just leave a comment on Facebook. I’d be really happy to help you out with your guitar questions! GET YOUR FREE GUITAR GUIDE NOW! Wanna be able to finally play chords and songs easily? Have you been struggling for too long at the guitar? 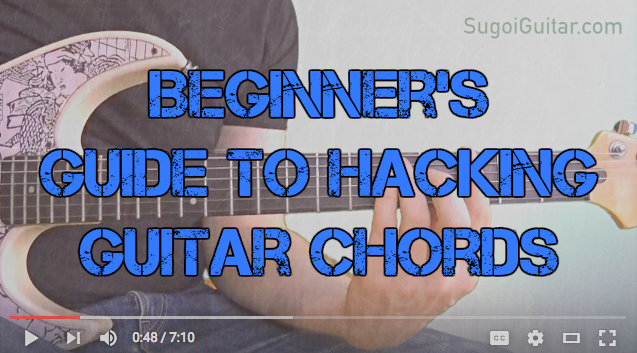 Then SIGN UP this FREE GUIDE to easily hacking guitar chords. I have a no spam policy and you can unsubscribe at anytime.